We praise God for His provision through the Extraordinary Give. 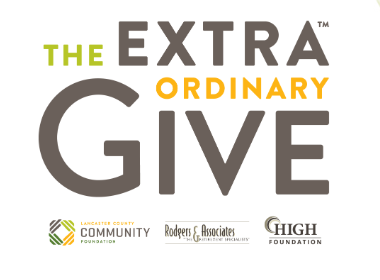 God is providing for our clients through Extraordinary Give 2018, by the generosity of 387 donors, held on November 16th. Supporters were able to learn about out mission and services through our site on the Extraordinary Give website, which included this client video, and an about us section. Through this online giving day, God blessed us by providing $75,575 in donations that will be stretched by the event sponsors: Lancaster County Community Foundation, Rodgers & Associates – The Retirement Specialists, and the High Foundation. We praise God for His provision!